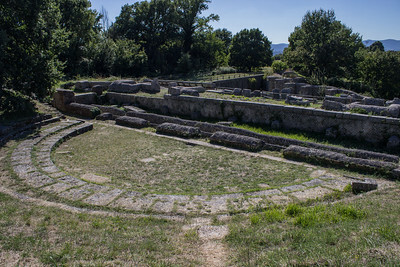 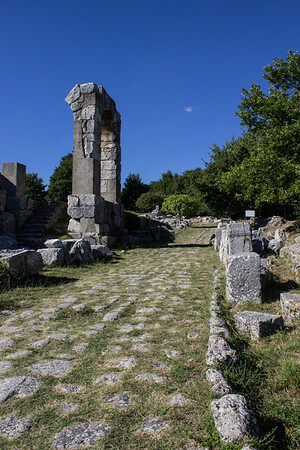 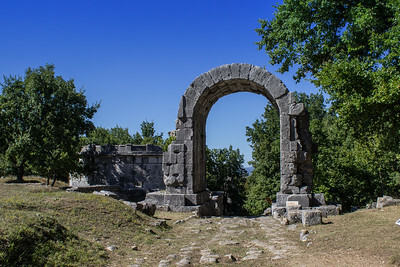 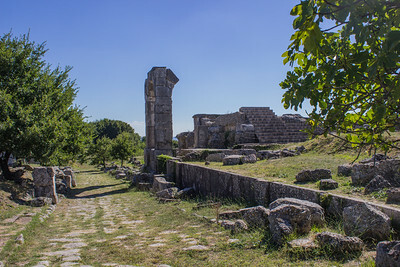 The Ruins of Carsulae. 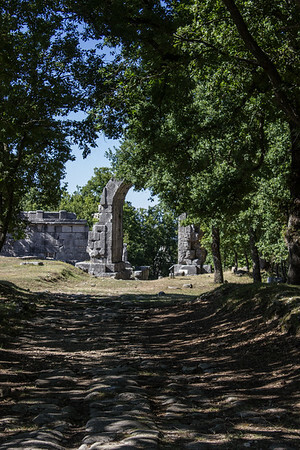 Founded in the third century BC, the town grew after the Romans built the Via Flaminain 220 BC. 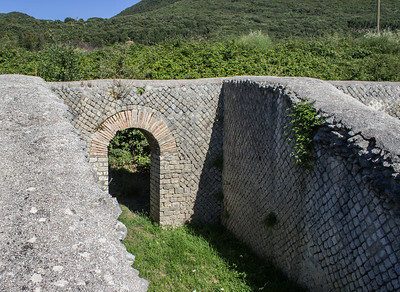 The ancient Roman road the Via Flaminia as it runs through Carsulae. 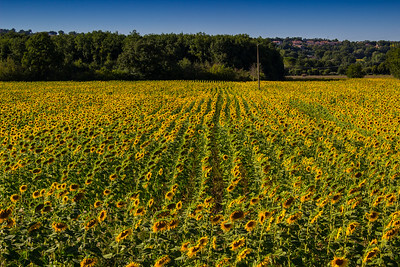 Sunflowers along the road from San Gemini to Carsulae. 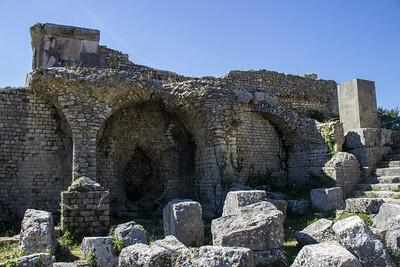 Opus Reticulatum stonework on the Ampitheatre. 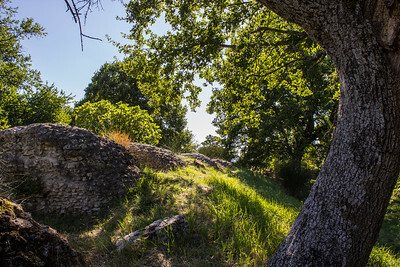 Nature reclaims the ruins of the Ampitheatre at Carsulae. 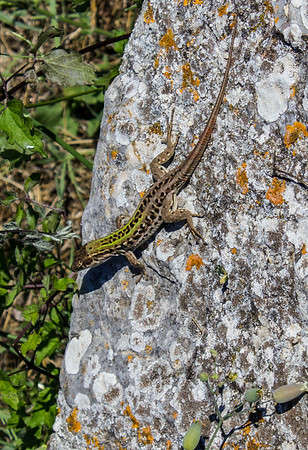 The ubiquitous fence lizard. 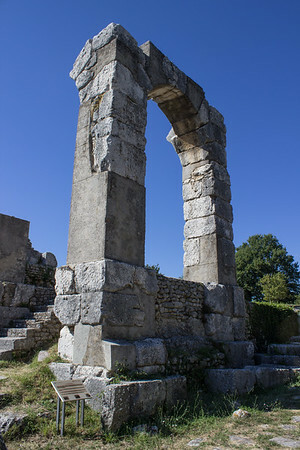 I've seen these all over Southern Europe. 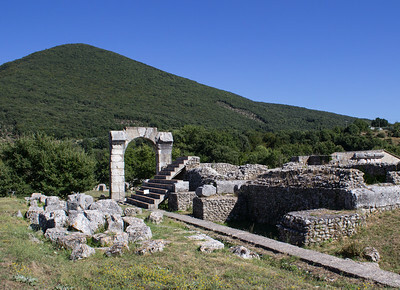 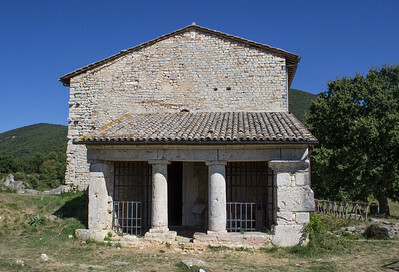 It is speculated that the tumulus belonged to the Furia family. 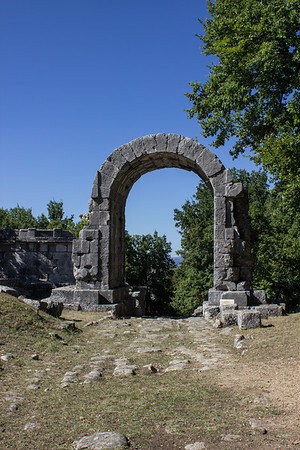 The Arco di Traiano on the Via Flaminia. 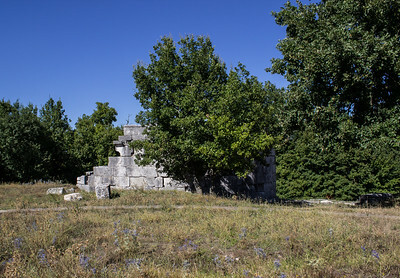 The stone structure to the left of the gate is the remnants of a tomb. 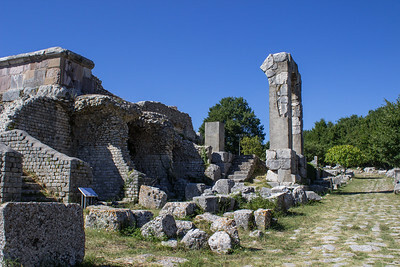 The ruins of two temples.